Komatsuna is a large, upright, hardy, leafy green, also known as mustard spinach (so is Pak Choy! ), and Summer Fest (a popular hybrid). It’s available in green, or red (purple) from Kitazawa. it grows into a large plant 18″ (45 cm) tall, with tender deep green leaves, sturdy petioles and a flavor that is mildly peppery, not pungent. You can pick and bunch individual leaves, or harvest the whole plant. 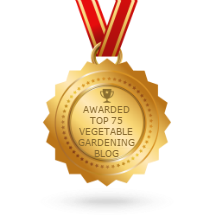 You can instead harvest at baby salad size 21 days from sowing. It reaches full size in only 35 days. The days to maturity lengthen as the weather cools. The hybrid variety Green Boy is preferred by Japanese growers because of its cold tolerance, meaning it can be grown year round in mild areas. Green Boy is good for hoophouse production in winter. 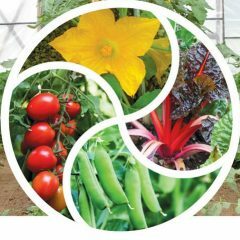 The hybrid variety Summer Fest is best for growing in late spring into summer, rather than in fall and winter. Open-pollinated komatsuna is available from Evergreen Seeds. These two Asian seed companies sell the dark green glossy type. Some other companies have paler green unglossy vegetables called komatsuna that look different to me: Baker Creek, (who call it Tendergreen, which is sometimes considered a separate vegetable), Stokes, Hudson Valley. Komatsuna is cold-tolerant to 15°F (-9.5°C), perhaps 10°F (-12°C). For seed-savers and botanical Latin geeks, it’s Brassica rapa var. perviridis (Kitazawa) or Brassica rapa var. komatsuna (sources vary in their classification.) Komatsuna is one of the parents of my all-time favorite Asian green, senposai. 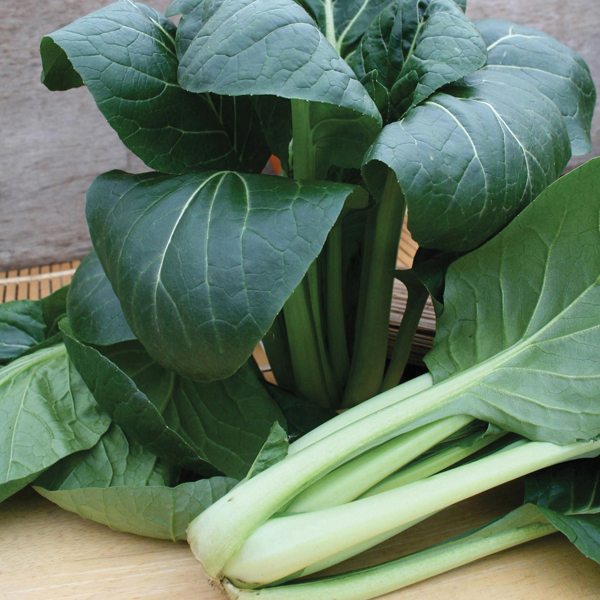 Like all Asian greens, komatsuna has similar care requirements to other brassicas. Very fertile soils grow the best Asian greens, and they are shallow rooted, so pay extra attention to providing enough water during hot weather to prevent bitter flavors and excess pungency. Sowing in the fall will mean most of us won’t have to worry about too much hot weather. For central Virginia we would sow 8/20-9/15 for outdoors, 9/15-10/15 outdoors to transplant into a hoophouse. It could be sown later in the hoophouse for filling gaps as they appear during the winter. Or sow indoors in early spring to grow in a hoophouse or greenhouse. Komatsuna is relatively bolt resistant, but don’t wait for hot conditions to harvest, or you could end up with a bunch of yellow flowers instead of tasty leaves. Cover the sowing with insect net or rowcover if you have a lot of late summer brassica pests (harlequin bugs, I’m talking about you!). 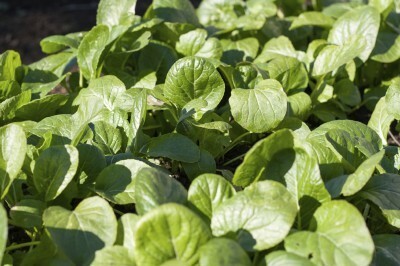 If direct sowing, you can thin to 4″ (10 cm) apart for adolescent leaves to use like spinach. Thin to 8″ (20 cm) for mature plants, which can be cut as “heads” to be stir-fried or steamed. Komatsuna does not form true heads, so don’t wait for that! If you are sowing to transplant, do that when the plants are 3-4 weeks old (in spring they would need 5-6 weeks). Give the plants 8″ (20 cm) of space all round, or as much as 12″ (30 cm) if you plan to harvest after the plants reach full size. Water well, depending on rainfall. Aim for an inch a week. 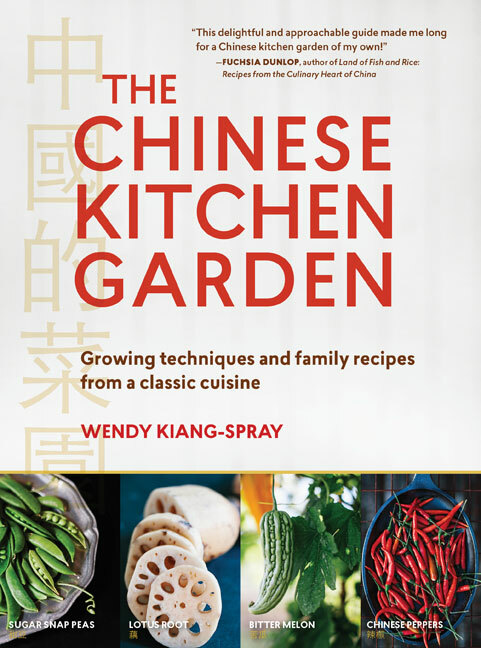 I haven’t read it yet, and I’ve no idea if she mentions komatsuna, but for lovers of Asian vegetables this book is a valuable new addition, and I appreciate that it is seasonal and combines growing with cooking.